We invite you to visit the of handicrafts fair, which will be held in Tashkent from 17 to 24 April. The first fair “Master.uz” held in the park named A.Navoi , also within the framework of the exhibition will be held master classes devoted to painting glass, ceramics, decoupage, creating jewelry with their own hands. Then, on 23 April, there will be an unique exhibition “Fair of Wonders” in hotel “Lotte City Hotel”. This exhibition is unique in that it is a charity and all proceeds from sales of products will go to help children with special needs in the development. 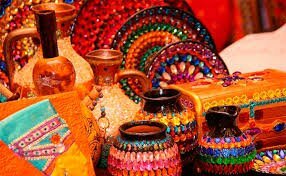 Ends the “Parade” exhibition in the hotel “International,” on April 24 where any fashionista will be able to purchase a variety of jewelry, bags, scarves, dresses and more in the national Uzbek style.